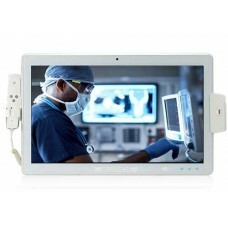 ﻿Medical Panel PC 18.5"/250cd/Cel-3965U/PCT/WXGA Customs Tariff Number 84714100Descripti..
Medical Panel PC 18.5"/250cd/i5-7300U/PCT/WXGA Customs Tariff Number 84714100Description..
Medical Panel PC 18.5"/350cd/Cel-3965U/PCT/FHD Customs Tariff Number 84714100Description..
Medical Panel PC 18.5"/350cd/i5-7300U/PCT/FHD Customs Tariff Number 84714100Description18.5” M..
by request, delivery 5 weeks, 17” 350 cd/m² 1280x1024 Panel PC with Intel® 14nm 6th Generation ..
by request, delivery 5 weeks, 21.5" 250cd/m² FHD Medical panel PC with Intel H81 chipset, Dua..
by request, delivery 5 weeks, 21.5" 250cd/m² FHD Medical panel PC with Intel H81 chipset, Pen..
Avail­able from 30-Apr-2018by request, delivery 5 weeks. 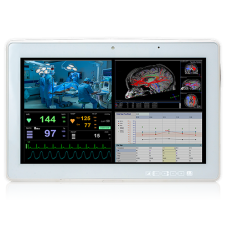 24" 250cd/m² FHD Medical panel PC ,Int..
new since 22- Feb-2018by request, delivery 5 weeks. 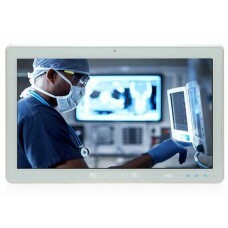 24" 250cd/m² FHD Medical panel PC ,Intel Sk..
21.5" 250cd/m² FHD Medical panel PC ,with Intel® Celeron 3855U (15W) 2.4GHz on-board processor (UL..
21.5" 250cd/m² FHD Medical panel PC ,with Intel® Core™ i5-6300U (15W) 2.4GHz on-board processor (U..